We provide your company with only quality equipment and proven performance you can rely on. Representing wide-format equipment solutions from Oce, HP Hewlett-Packard, Xerox, Contex/Vidar, Graphtec, and other industry leaders – you can count on Metro-Repro to provide your company with only quality equipment with proven performance you can rely on. We can even help with leasing and financing options to help make it easier to implement the equipment solution you need. Old ammonia blueprinting and time-consuming pen plotting has evolved. 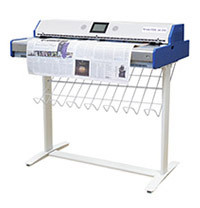 Today’s wide-format inkjet printing, digital printing, copying, scanning, and digital multifunction systems offer amazing speed, image quality, and efficient productivity. Let Metro-Repro help guide you through the process of finding the right wide-format document solution to meet your company’s specific needs. If you’re curious about how one of our solutions could make your life easier, schedule a demo and you can see for yourself. We have equipment available to see in our Demo Room, or we can even "bring the demo to you" with our Demo Van. We can show you the equipment in action, right from your own parking lot! Contact us today for a demo. Whether it’s low volume or high volume, color or black & white output needs, Metro-Repro handles a complete variety of printing solutions from HP, Canon, and other top manufacturers. 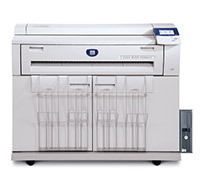 We will work with you to determine the printing solution that will best meet your company’s needs. Looking for a system that can offer digital scanning, network printing, plus incredible feature-filled copying capabilities? How about reduction & enlargement? How about collated set production? How about scanning your originals directly into a TIFF or PDF file format? 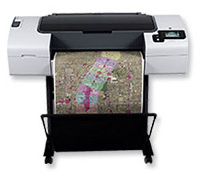 We offer an array of complete digital multi-function systems that can do it all! Would you like to have the ability to digitally archive and organize your old originals? How about scanning in documents so you can email them to customers and vendors? How much extra productive office space would you gain by scanning the room full of flat and vertical files and having them digitally archived and organized on your network (or on CDs) for the ultimate in easy, on-demand access? A stand-alone scanning solution can take care of these needs! Plus we can help you with ideas and solutions on organizing and indexing your new digital archive. 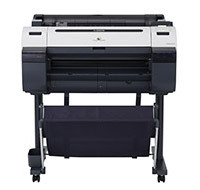 Looking for a great deal on used or refurbished plotters, refurbished wide format printers, copiers, digital system, or used plotters for sale? Our used equipment inventory is constantly changing, so give us a call and tell us what you’re looking for. We’ll let you know what used equipment solutions we currently have available.